Noel Del Pilar is wedding photographer specializing in destination weddings. His signature style combines fashion photography with artistic, directed portraits to create wedding day images that are stunning and full of emotion. He is a proud member of Wedding & Portrait Photographers International (WPPI), Professional Photographers of America (PPA), among other local photographers associations. 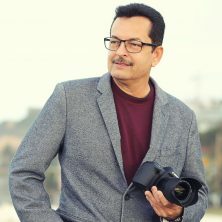 Noel is a Certified Photographer and Photographic Craftsman of Professional Photographers of America; he conducts seminars and speaks yearly at photographic conventions like WPPI (Wedding and Portrait Photographers International) in Las Vegas, NV.